Today we make our Portland, Oregon debut and we couldn’t be happier to share the stage with our longtime friends, Portland natives, and phenomenal musicians, Jay Cobb Anderson and Mimi Naja from Fruition! 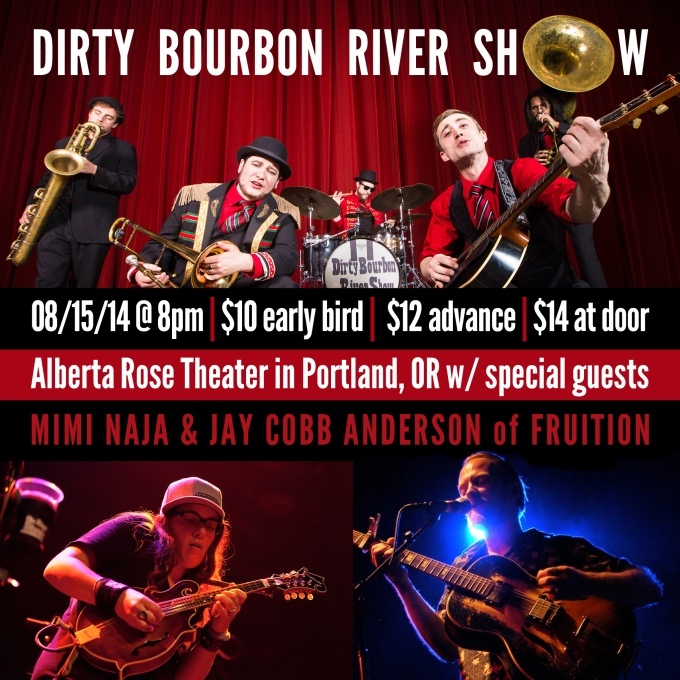 Come out to the Alberta Rose Theater for a night of fine pickin’, singin’, and lots of brass. Mimi and Jay will start off the night at 9, Dirty Bourbon kicks off at 10.